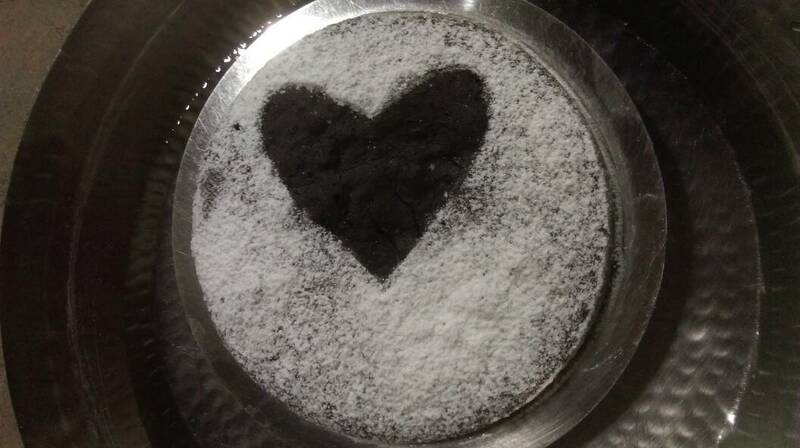 Oreo biscuit cake…. With only three Ingredients. Sounds weird… But its the easiest cake ever. Eno can also be replaced with baking soda. 1/2 tea spoon. Keep your oven for preheating and grease the baking dish. Mash the Oreo biscuit completely. Add eno and give a good whisk. Keep it in oven for 40-45 mins or until the toothpick comes out to be clean. Now your cake is ready. I just kept a paper stencil of heart shape and sprinkle powder sugar over and around it. You can make designs with chocolate ganache click here to know more about it http://wp.me/p7yp4W-10V or white icing. So do try it and let me know the results in the coment section below. Yeah naina …. Do try it and let me know your experience with it…!! !